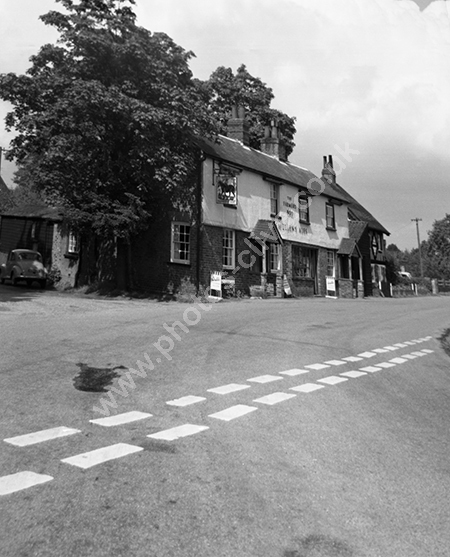 The Farmer's Boy Pub Brickenden Lane, Brickendon SG13 8NU Herts in 1967 with an old Morris Minor to the left (registration not distinguishable.) Signed as McMullen's Brewery. For commercial use of this photo please search for MM87AB on www.alamy.com but for a one-off print please see below.